The shuttle valve WVG is a ball poppet shut-off valve. Indeed, it has two inlets (port 1 and 3) and one outlet (port 2). 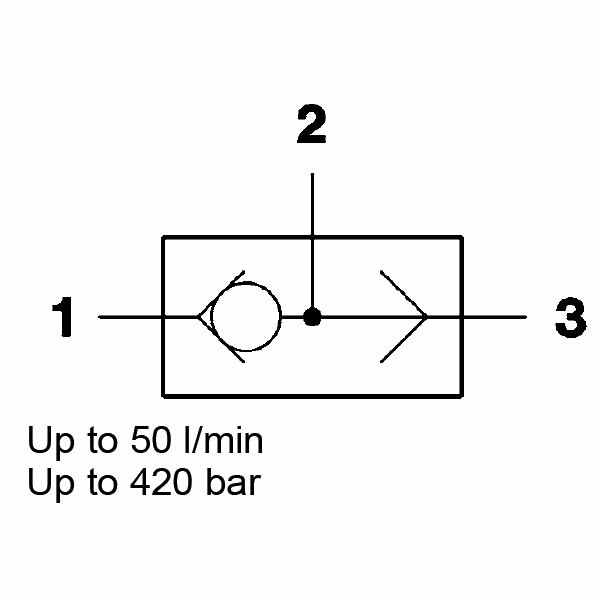 Therefore, the inlet with the higher pressure pushes the closing element towards the other inlet. The outlet’s connection to the inlet with the higher pressure is therefore always automatical. The other inlet is shut off.